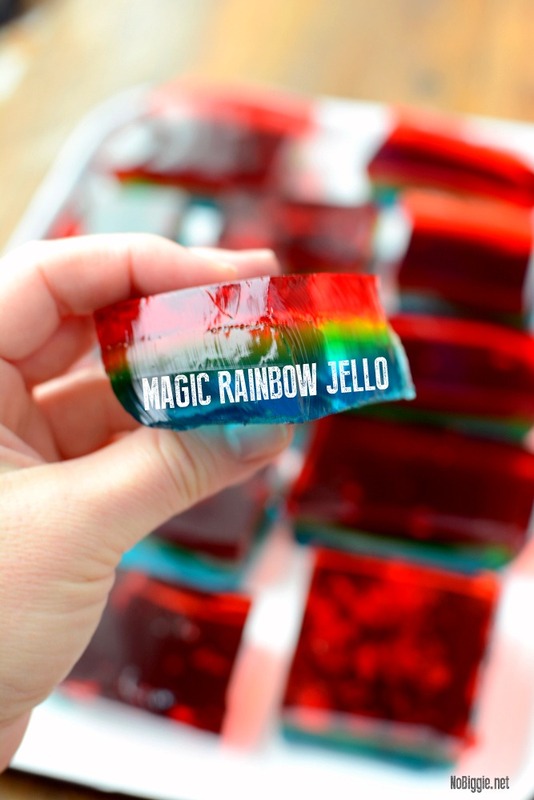 Make Rainbow Jello with just three jello flavors…it’s magic! Here’s the trick…when mixing…try not to make too many bubbles, keep it clear and smooth. I could have done a better job at this on the video above. Keeping the liquid jello clear of bubbles really makes it look good. In a glass bowl pour the blue jello powder in and add the powder of one envelope of gelatin. 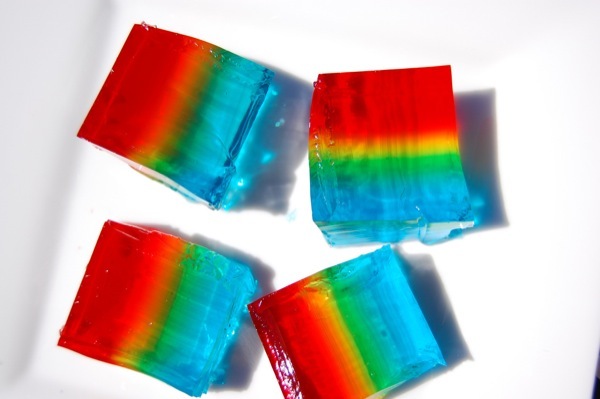 Pour in 2 cups of boiling water to dissolve the jello and gelatin. Stir with a metal whisk until dissolved. Stir slow and smooth, the less bubbles the better. Add 1/2 Cup of Ice, and stir until ice is dissolved. Pour into a glass 9 x13 inch pan. Remove any remaining bubbles that may have formed. Let it set in the refrigerator, 2 - 3 hours. 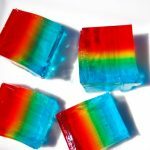 Repeat this method with the yellow jello and pour it over the blue jello layer. Let the yellow layer set for 2 - 3 hours. 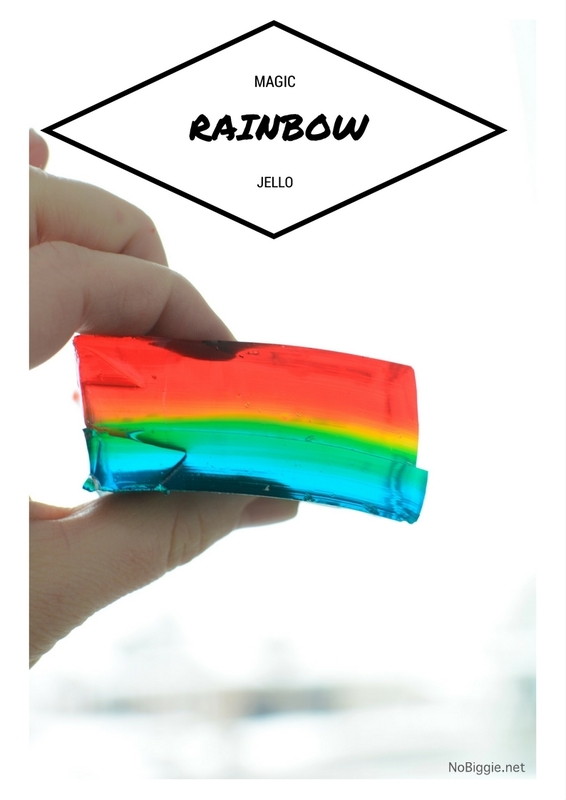 Repeat with the red jello and pour it over the yellow layer, and let set another 2 - 3 hours. When ready to serve slice into squares or cut into shapes. Enjoy! Then Voila! With only three layers you will be surprised to see a whole rainbow of colors when you hold it up into the light…a rainbow that jiggles!